Nestled away in the southern end of Donnybrook village beside the Old Wesley Stadium is South county Dublin best kept secret “The Greenery”, an all-day casual restaurant which is rapidly making it’s mark on the local clientele.With Havana next door, the temple for stylish dressing, one is not surprised to see the place bustling with fashionistas. Cream leather upholstered chairs and banquettes provides a contemporary look that is smart yet very comfortable and unpretentious. Hence it was no surprise to see The Greenery branching out in another leafy suburbs, in Portobello this time around and on Lennox street to be precise. This new venture resides in the location formerly known as The Lennox Cafe which has been totally revamped and the decor is altogether brighter with an urban chic feel. Both restaurants offers a varied menu with reasonably priced dishes and there is plenty of choice to satisfy all budgets and tastes. While the breakfast menu has all the usual variations on eggs, from scrambled, baked or poached, you can also tuck in a Full Irish @ €10.50 or just simply have French toast with bacon & maple syrup @ €8.50. 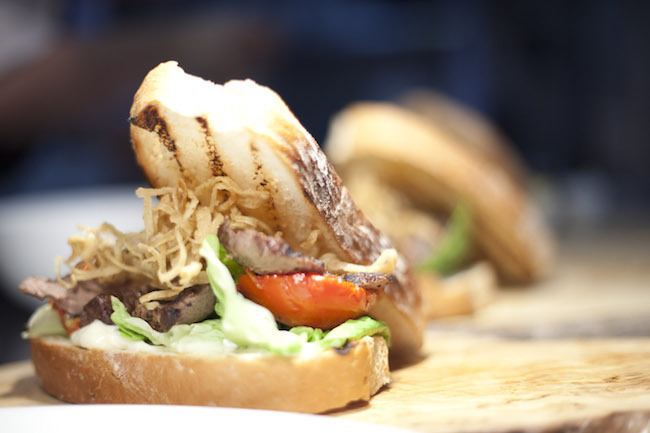 The lunch menu is rather more substantial yet light but still with plenty to choose from, a Warm chicken salad with avocado, sun blushed tomatoes, pesto and Parmesan shavings @ €12.50 to a classic Steak sandwich combo with crisp onions, slow roasted plum tomato & baby gem on toasted ciabatta @ €10.50 served with a choice of soup or fries. I have eaten there a few times and on each visit, the food has been very good. It is simple food yet very tasty and not compromising on flavours and every thing was served with good humour by a very cheerful team. 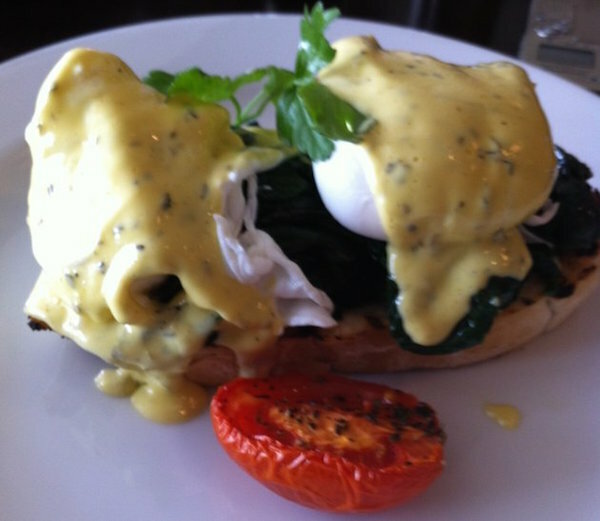 For breakfast or an early brunch, I would recommend the Egg Benedict @ €9.50 or the Egg Florentine also at @ €9.50. With a silky herby hollandaise sauce enrobing the perfectly poached eggs which surrendered it’s runny yolks at the touch of ones fork, slow cooked ham for the first and well seasoned wilted spinach for the latter on warm toasted muffins, both were delicious and guaranteed to set you off for the day ahead on a good note. The coffee here @€2.20 is excellent and if it happens to be “en fin de semaine”, why not push the boat and go for a Mimosa @€8.00 or a Bloody Mary @€7.50. 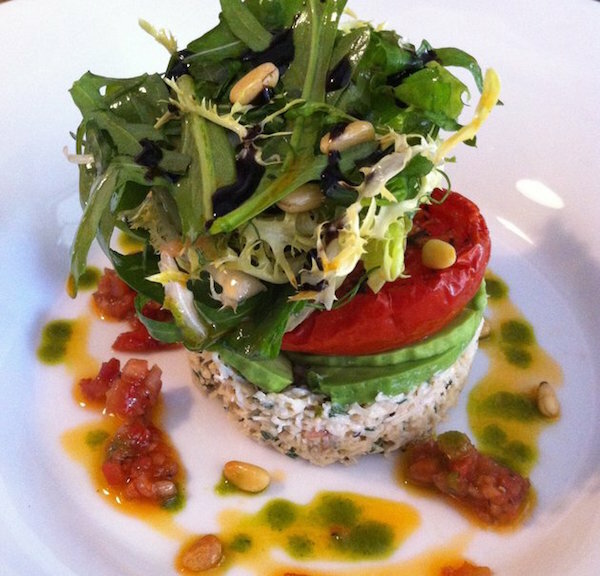 For lunch, the Crab Salad with avocado, tomato vinaigrette @€13.50 was smartly presented and the combination of flavours in this colourful dish worked well together. There was just enough citrus zing to cut through the sweetness of the crab meat which was very fresh and smelled of the sea. The Quesadillas with spicy chicken, roasted peppers @ €10.50 was equally delicious. 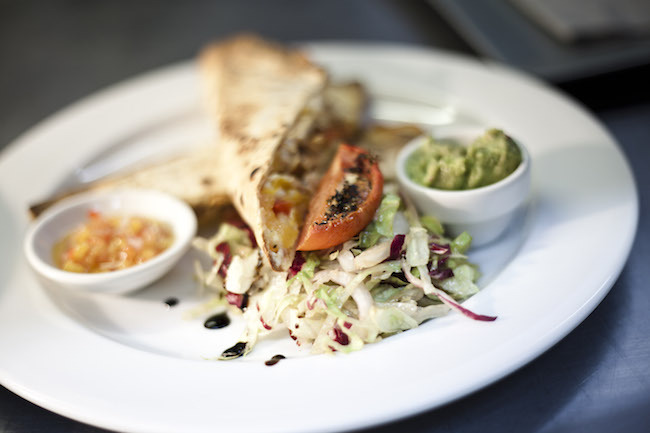 The toasted and crispy tortilla wrap contrasting nicely with the softness of the chicken and peppers within. It was full of flavours, with a garnish of mixed leaves, crispy onions, guacamole and salsa, it was ideal for a light lunch. 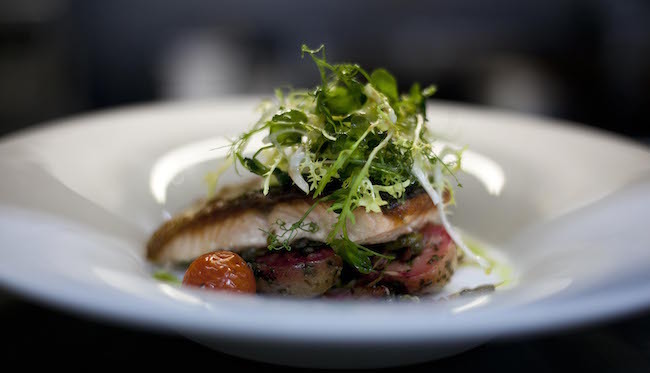 For dinner, the daily catch of the day, whether it be the Sea bass or hake is excellent or a classic Beef Burger is equally good too. So if you are around Portobello or venturing towards the South-side of the city, The Greenery is indeed an attractive spot for a bite to eat with really pleasant service and excellent value. I have a voucher to give away for a VIP Brunch for 2 at the location of your choice. A Winner will be picked on the 25th of January 2015.